The lives and times of the Vikings have always spoken to the imagination and for slot game providers they seem a great source of inspiration. The Vikings have produced heroic history with all their sea-faring journeys and conquests. Celebrate the culture of the Vikings and take your share of the loot. Discover the best Viking-themed slot games for the bravest actions and the most heroic of winnings. Vikings is stunningly designed game developed in partnership with the producers of the hit TV show also called Vikings. In the introduction of the slot you find yourself in warrior king Ragnar Lothbrok’s hut where the seer tells him about a prophecy. From there you are taken out of the hut and the scene is set in a harsh and ominous Nordic landscape. Symbols on the reels include characters from the TV series, iron-cast rune symbols and the Vikings’ symbol, the latter being the highest-paying icon. The game has 243 Ways to Win and with help of original and exciting features you can hit a maximum win of no less than £1,000,000. On Vikings’ slot game you raid your way to victory with the help of special game features including Raid Spins, the Hotspot and Scatter Pays features and the Shield Wall Bonus game. Raid Spins are free spins Viking style and you trigger this mode by playing at least 3 Raid Spin symbols in one round. Once this mode is activated the grid expands to the Raid Reel that has a 7×5 grid structure. The Hotspot feature is a glowing reel in the middle that can transform symbols into Stacked symbols and activate the Scatter Pays feature, with which you can win up to 200,000 coins. The Shield Wall Bonus game is based on a historically accurate military tactic that can also be seen in the series. The Bonus Game is a feast to the eyes and as it grants you expanding wilds you can give your win potential an enormous boost. Join Ragnar Lothbrok, Lagertha, Floki and Bjorn on the reels for an epic slot game adventure. In Vikings go to hell slot game a group of four Nordic warriors have entered the depths of the underworld to fight some demons. The game has been dramatically set at a large slab of rune stone, while some spirit at the top of the grid is overlooking all the action. You play the four Vikings as well as plenty of Viking amulets on the reels that have a 5×4 grid structure. The slot has 25 fixed bet lines and a relative low return to player rate of 96.30 percent. Vikings go to hell slot game has normal Wild symbols as well as Sticky Wilds, both fulfilling their usual symbol substituting functions. When you play at least 3 Scatters in one round, you trigger the Bonus Spins game in which you can be awarded up to 16 Bonus Spins depending on how many Scatters you play in the triggering round. You can collect so-called rage points for each Viking as part of the Rage feature and you get these points when any of the warriors fight and beat demons. Each of the four Vikings has a rage meter where you can keep track of the amount of points you have collected for each warrior. You trigger a battle between a Viking and a demon when you play at least 2 Scatters in one round. 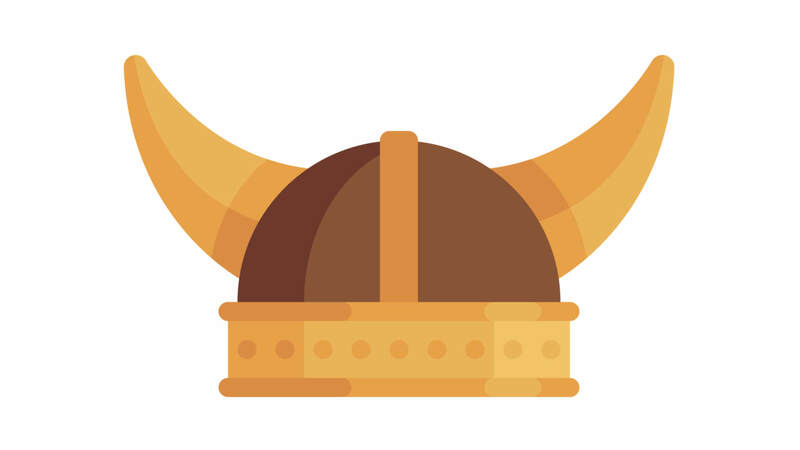 Once a Viking meter is full, he or she reaches Berserk mode in which you are granted 7 Bonus Spin in which the Viking will win all of their fights. This means a rage meter can fill up again in no time and you have more chances to land additional Sticky Wilds. With the Treasure chest feature you can be granted different treats like coin wins, Bonus Spins, Rage Points and Sticky Wilds. Join the battle between good and evil and make epic wins on Vikings go to hell slot game. Viking Runecraft is another slot that honours the ancient Norse traditions and mythologies as various rune symbols grace the reels of this slot with a 7×7 grid structure. In addition to rune symbols you also find icons of Viking helmets and weaponry on the reels. The different rune symbols fall rather than spin into place. The game has a Cluster Pays mechanism rather than win lines. Every time you hit a win, the symbols forming the winning combination disappear and you get a re-spin. This happens as long as you play winning clusters. Every time you create a win, you fill up the Bonus Metre and once it’s full you activate one of four Charge of Destruction Bonus Games that are all named after mythical characters from Norse lore. If you manage to fill the Bonus Metre a second time, you trigger the Ranarök feature. In this mode you get multipliers for the number of identical symbols you play on the reels. You can win multipliers of up to x15. The gods of the Norse pantheon play a significant role in this slot. The Gift of God feature has four god levels for you to pass before you can become an slot game legend in your own right. In the main game whenever you play a specific combination you uncover a certain god. On each level you get an extra reward in the form of Wild symbols, regular, expanding and/or sticky, with which you significantly increase your win potential. If this all wasn’t enough Viking Runecraft slot also has the Valhalla feature. When this is activated you get to spin the Wheel of Fortune for juicy cash prizes. Get crafty Viking style and make god-like winnings on Viking Runecraft slot. On this slot a band of Vikings are going on a rampage and want you to have a share of the loot. The Vikings fear of nothing as out on open sea one of the warriors runs off the ship to attack the Kraken in the introduction clip and in Free Spins mode. With images of our heroes and copper, bronze, silver and golden Viking coins you aim to hit a winning combination on this 25-fixed-pay lines’ slot. Vikings go wild is a pretty straightforward slot with Wild symbols and Free Spins. You get free spins when you play at least 3 Free spins symbols anywhere on the reels in one round. With 5 Free Spin symbols you are awarded 24 free rounds. During free spins all Wild symbols are sticky. The Treasure Chest feature has its own symbol and can trigger additional treats in the form of coin wins, free spins or an entire wild reel. This feature can be activated both in the main game as well as in Free Spins mode. Vikings Go Wild is a fun and well-designed slot with a straightforward game play that keeps you entertained with Vikings mayhem delivering you win after win.